One of the pre-wedding tasks that seemed to take me the longest was choosing gifts for our parents. 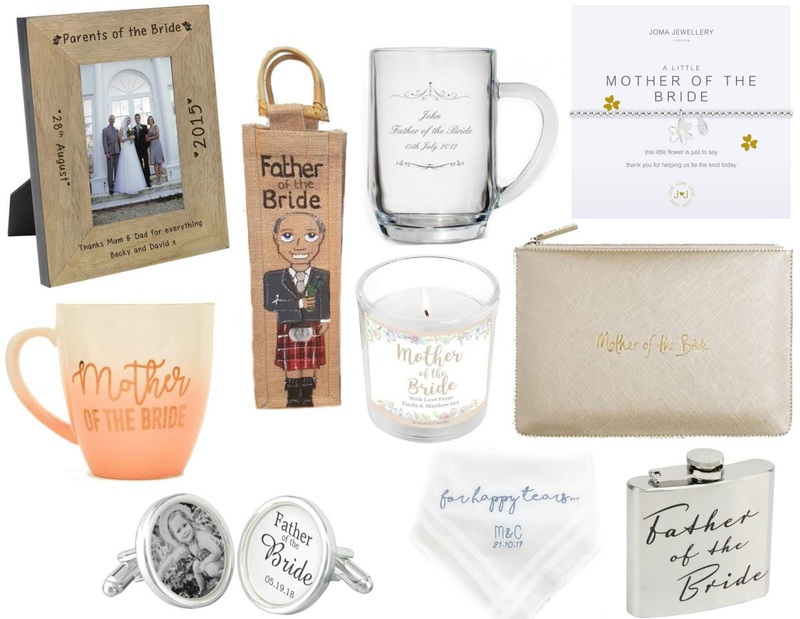 There's loads of Mother and Father of the Bride and Groom presents to choose from and I wanted to make sure I found something they would love, treasure forever and remind them of the day. Both sets of parents have done so much for us in the wedding planning process and I wanted to thank them properly. I've put together a few ideas from across the internet that will hopefully inspire some bride to be's having the same dilemmas. Hopefully the photos will show exactly which ones I went for too! Obviously there's going to be loads of photos taken on the day and I love the idea of a Personalised Photo Frame for pride of place in my parents living room after the wedding. I quite like the idea of putting a voucher in the frame for a meal out or a hotel stay rather than giving an empty frame on the morning of the wedding. Or this would be quite nice kept until a little bit after the wedding when you've had a photo printed. Onto a Father of the Brides (or Groom) gift, drink is quite a popular option but just giving the bottle is a little boring so putting it inside a Personalised Bottle Bag makes it a bit more special. You can decide everything from eye colour to outfit. This would make a good gift combo with a Personalised Tankard Pint Glass. Whether it's for pre-wedding nerve settling drinks or for at the wedding it's a practical gift but keepsake too. For the super special Mother of the Bride I love the MOB Joma Bracelet. It's simple and affordable but completely share the message of thanks for the love and support. Everyone loves a Joma bracelet! I know I mentioned alcohol for Dads but I think my Mum would quite like a cup of tea on the morning of the wedding while she gets her hair and makeup done, to help her de-stress. The Mother of the Bride mug is actually from New Look! I quite like the colours. Another Mum gift that can be kept after the big day is a Personalised Scented Candle. Once the wax has all been melted the jar could be used to store cotton pads on her dressing table. A practical gift for on the wedding day, depending on her outfit, is a Katie Loxton Perfect Pouch. 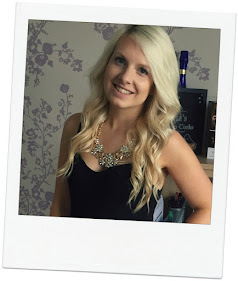 They are so simple and stylish, you can actually get one to suit most of the bridal party girls. The Father of the Bride gift that I thought of from the beginning is cufflinks but more special than that - Personalised Photo Cufflinks. This is definitely a keepsake gift but just think how cute they'd be in the photos too. I reckon these would bring a tear to most Dads eyes. I'm convinced there's going to be tears all round, especially from my Mum, so a Personalised embroidered handkerchief would be a good one for either Mums or Dads. I love that it says Happy Tears because that's exactly what they'll be. To finish off I like the look of this Father of the Bride Hip flask. I'm not sure it's quite up my Dad's street but I know the groom, best men and ushers will all be taking swigs from a hip flask throughout the day. It's just one of those wedding things.